Promoter Sampson Lewkowicz of Sampson Boxing proudly announces the signing of undefeated Panamanian lightweight Jose “El Magnífico” Nunez. 19-year-old Nunez is considered one of the most exciting Panamanian prospects to watch. He was awarded the title of “Prospect of the year 2017” by his homeland’s press and the Panamanian Boxing Commission. Originally from Curundu Panama, Nunez started fighting at the early age of 10, holds an undefeated record of 5-0 as a professional. 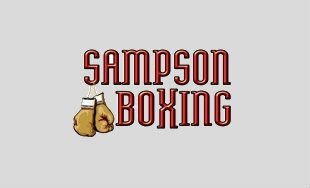 “I am very grateful that Mr. Sampson is going to promote my career as a professional fighter. Now is my turn to demonstrate him and everybody else that I came to this sport to be the best and beat the best,” said Nunez. Manager and trainer José Murillo says he’s also happy with his young fighter’s new deal. Nunez is scheduled to appear in his first international fight on February 9, in Santa Fe, Argentina, against Lucio Alberto Ayala from Buenos Aires. The fight is being promoted by Sampson Boxing, Tello-Box and JEB Boxing and will be televised trough TyC Sports and VTV Uruguay.